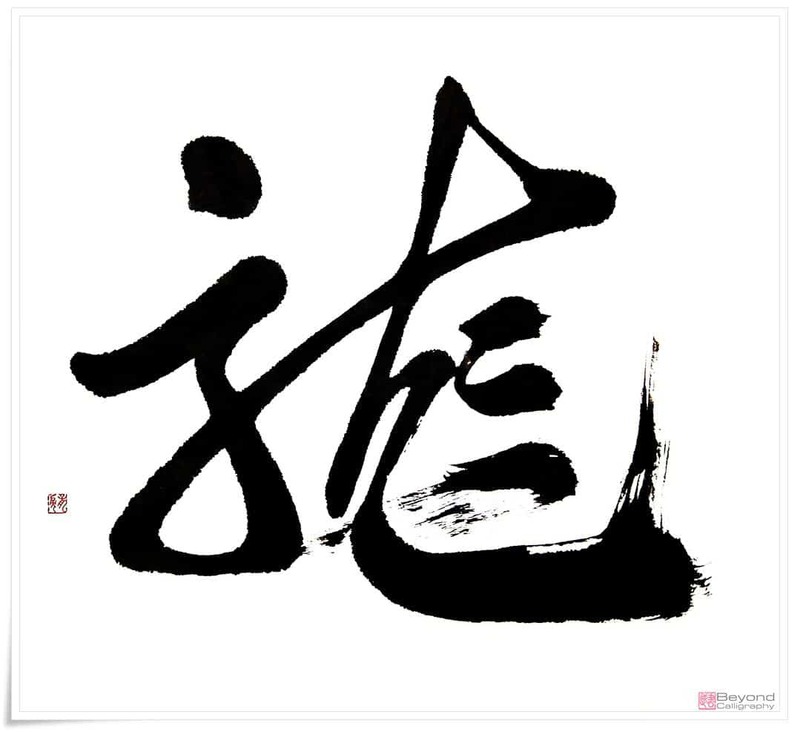 On January 23 rd, 2012, we enter the Year of the Yang (陽, pinyin: yáng, lit. 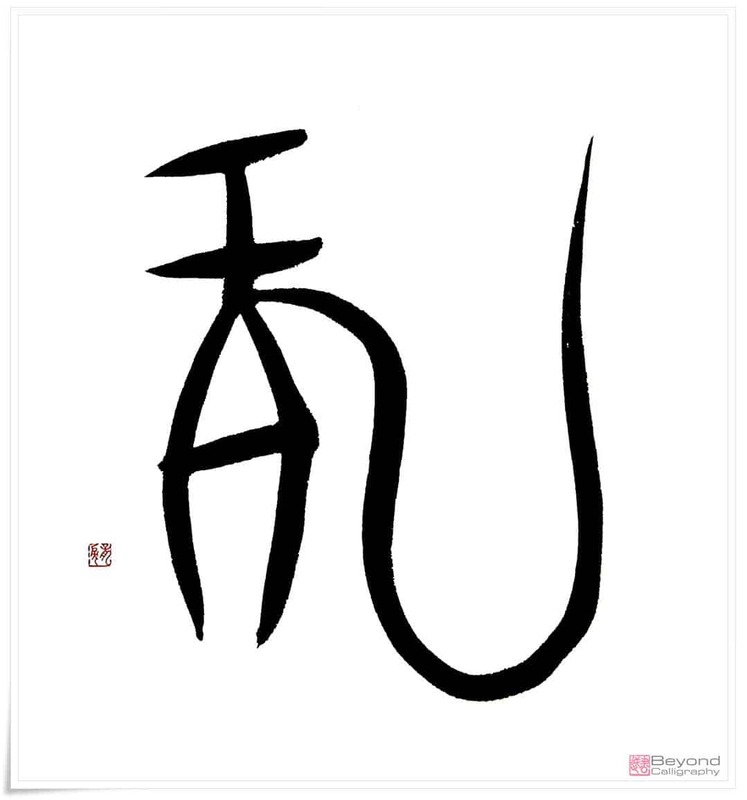 “sun”; male element Yang) Water Dragon, which appears in a 62 year cycle. It is a year I have been awaiting for a long time. 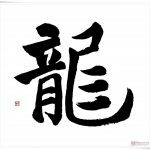 Its symbolism is closely related to East Asian calligraphy, and it also gives me the opportunity to explain my pen name. 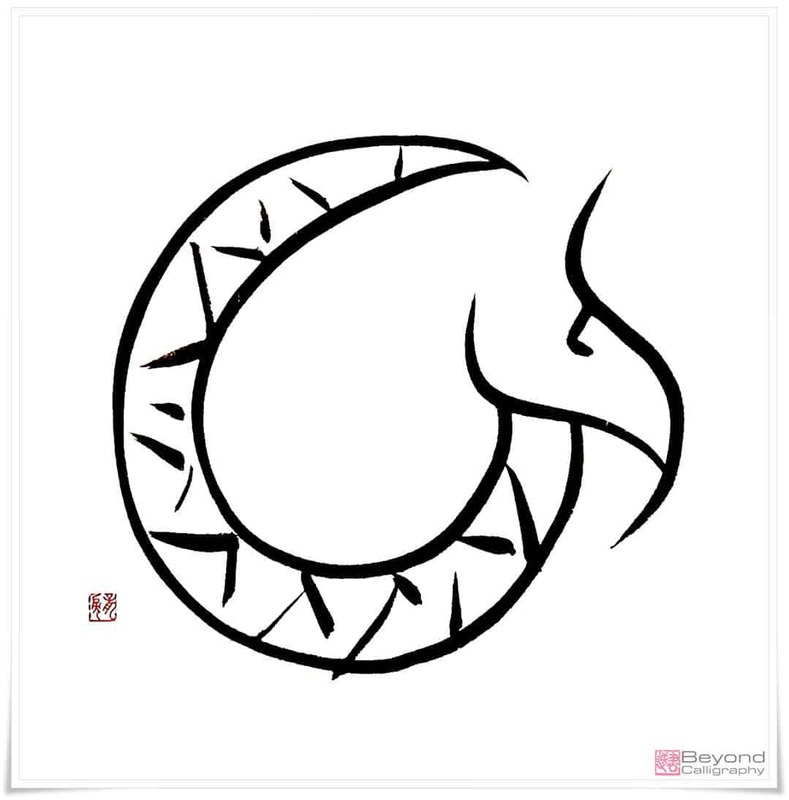 Dragons in Far Eastern mythology are benevolent creatures; bearers of wisdom, power, and positive energy. 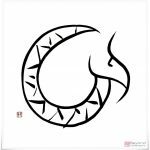 Together with a phoenix, dragon’s Yin (陰, pinyin: yīn, lit. 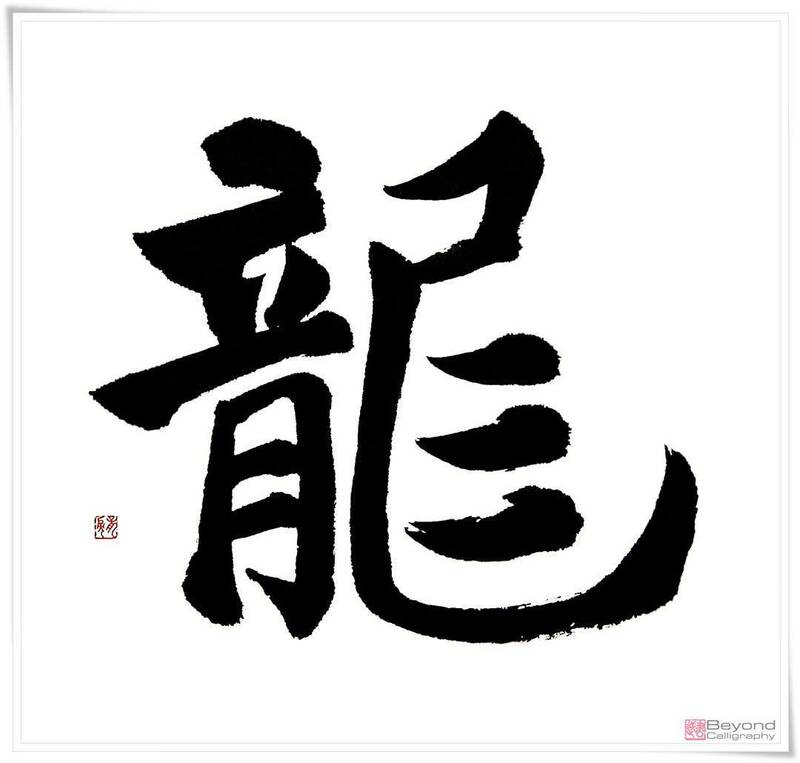 “shadow”; female element Yin) counterpart, they are seen as an auspicious omen. Dragons and their supernatural abilities often appeared in the history of Chinese calligraphy. 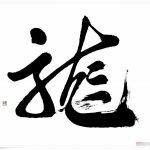 There were many references made to certain calligraphers or their styles, connecting them to dragons (such as Wang Xizhi (王羲之, Wáng Xīzhī, 303–361) of the Jin dynasty (晉朝, 265 – 420); more about it in this article). Movie 1 and Figures 1-3 Character 龍 (りゅう, ryū, i.e. 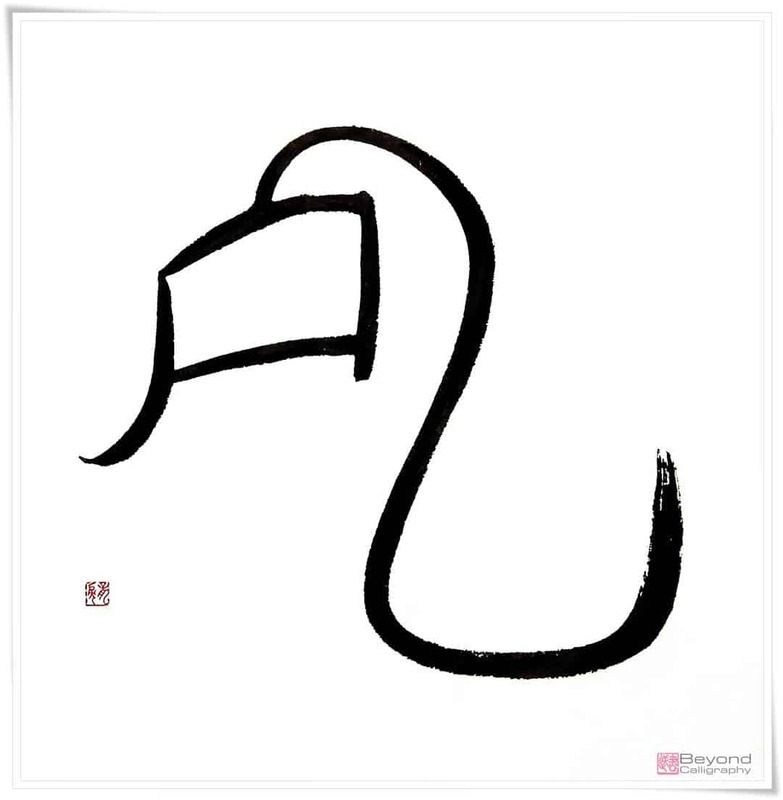 “dragon”) in oracle bone script (甲骨文, こうこつぶん, kōkotsubun). 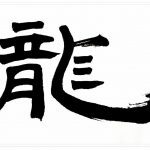 Figures 4-5 Character 龍 (りゅう, ryū, i.e. 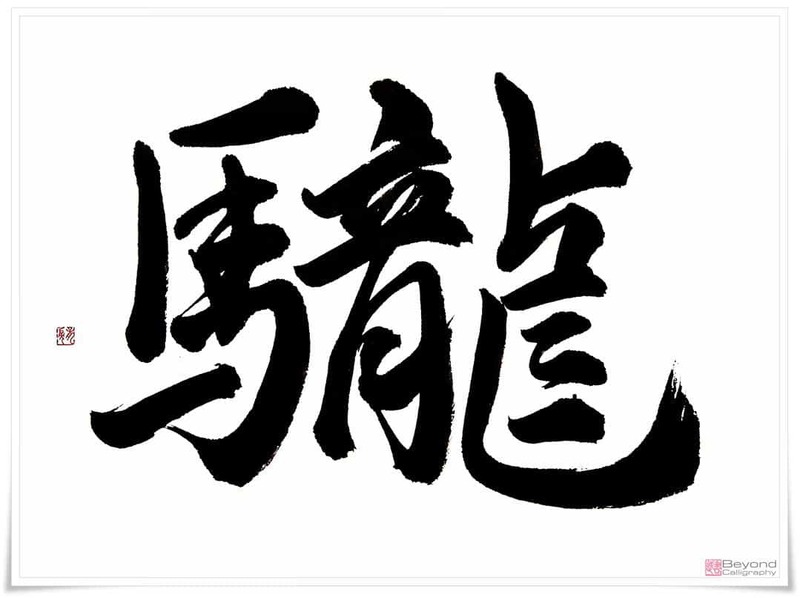 “dragon”) in small seal script (小篆, しょうてん, shōten). 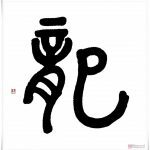 “Those four characters look like three live dragons and one dead snake (三生龍一死蛇, pinyin: sān sheng long yī sǐ shé)”. The dead snake referred to the corrected character. 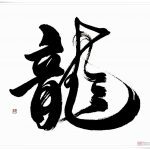 The moves of a Master calligrapher resemble those of a dragon in flight. 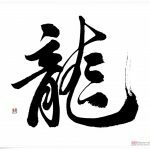 The calligraphy is so alive and vigorous that it seems to contain a dragon’s spirit flowing in the brush strokes, as if the traces of ink were lit on the fire of motion, eluding us with its three dimensional reality, reaching our soul with its spiritual arms. 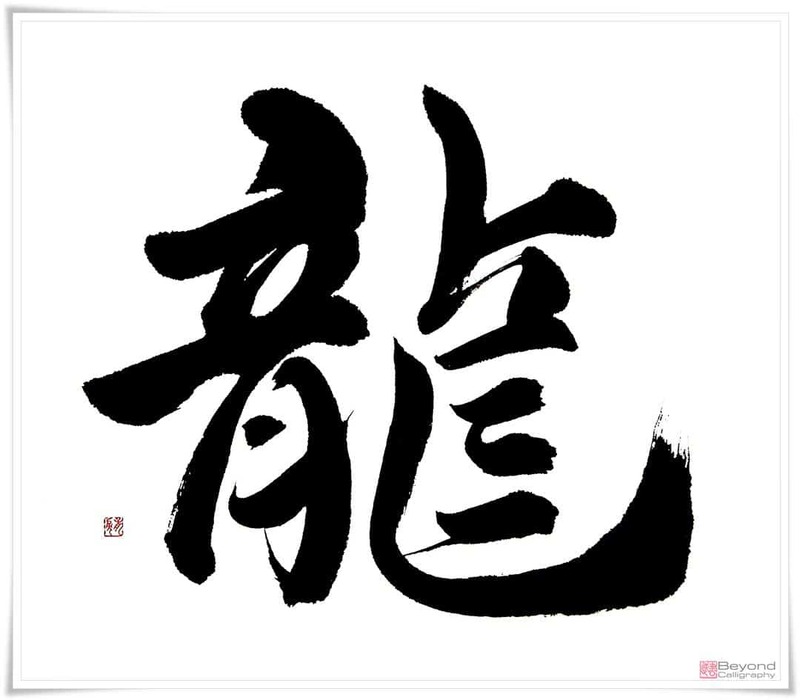 Calligraphy is the art of meditation. Devoting one’s entire life to one art wholeheartedly purifies the mind and blesses that person with a mythical aura of wisdom. 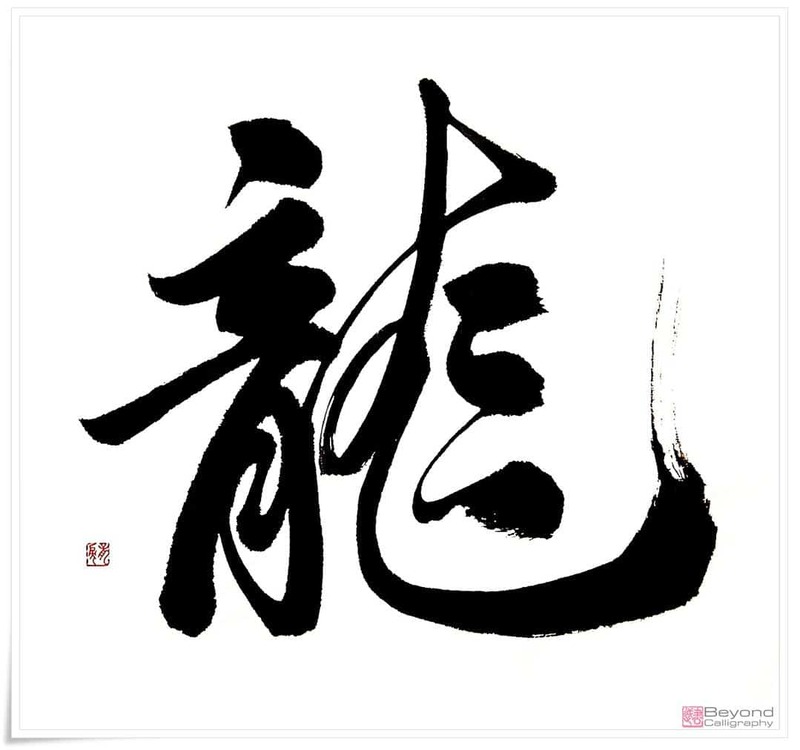 The personality of the old masters I have met is defined by their calligraphy. It is so simple, yet so deep, so sensible and untouchable. For me they are the reincarnations of ancient dragons. They float above everyday desires, like clouds above over-heated summer ground, close enough to maintain eye contact, yet far enough away to hear nothing but the songs of void skies. Watching them write makes me wonder whether or not they really need a brush to write at all. They have become the art itself. 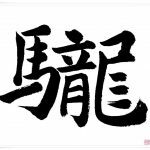 Movie 3 and Figures 9-12 Character 龍 (りゅう, ryū, i.e. 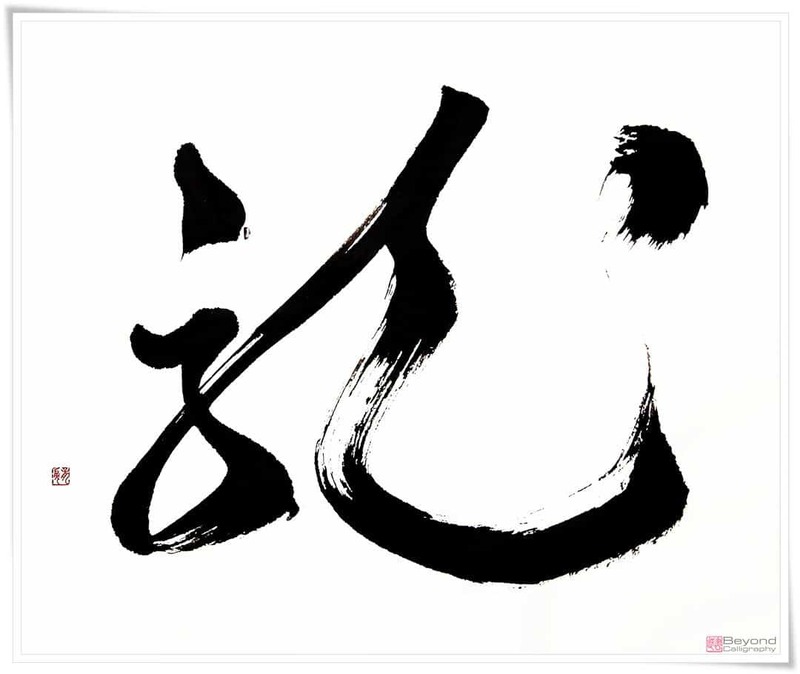 “dragon”) in cursive script (草書, そうしょ, sōsho). 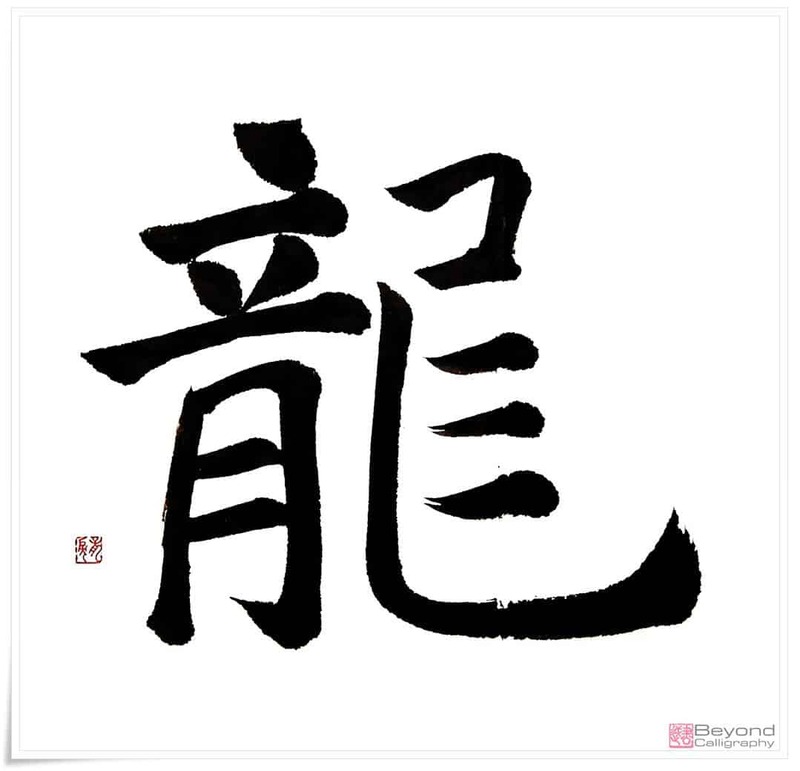 So many people ask me why I chose the pen name 龍涙 (りゅうるい, ryūrui, i.e. “Tears of Dragon”). I believe that the following passage from my book (quoted above) should explain it very well. Movie 4 and Figures 13-15 Character 龍 (りゅう, ryū, i.e. 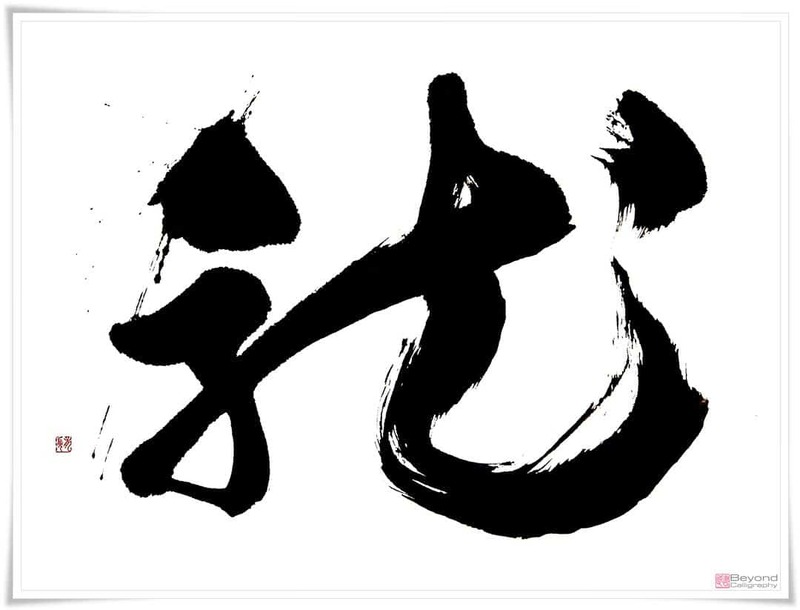 “dragon”) in standard script (楷書, かいしょ, kaisho). “Tears of the dragon” become ink of the soul. 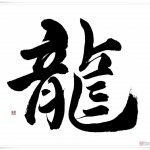 Ink is a Yang element of calligraphy, being soft, supple and warm, and it contrasts with the Yin element, paper. Together they bring harmony. 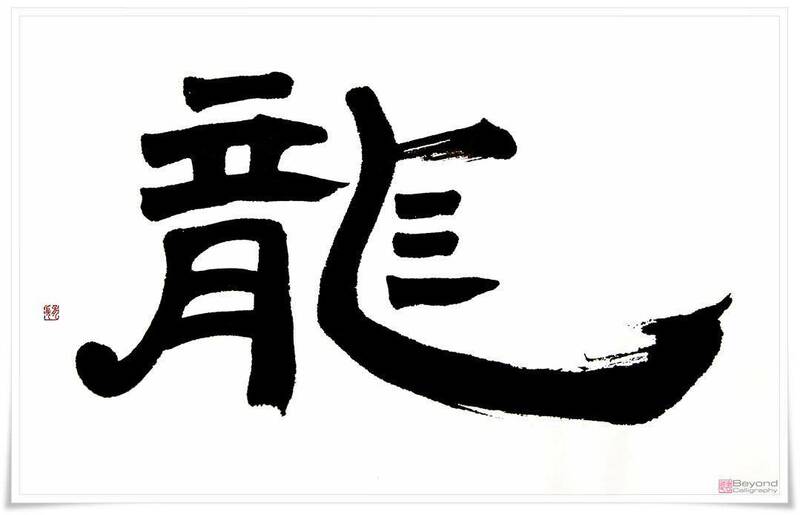 Since the ink is a fluid, and to make it one requires water, it is strongly connected to the water element in the Chinese theory of the Five Elements (五行, pinyin: Wǔ Xíng). 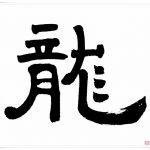 These are: Wood (木, pinyin: mù), Fire (火, pinyin: huǒ), Earth (土, pinyin: tǔ), Metal (金, pinyin: jīn), and Water (水, pinyin: shuǐ). To read more about the interactions between those elements, please see my article here. Movie 5 and Figures 16-20 Character 龍 (りゅう, ryū, i.e. 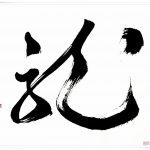 “dragon”) in semi-cursive script (行書, ぎょうしょ, gyōsho). 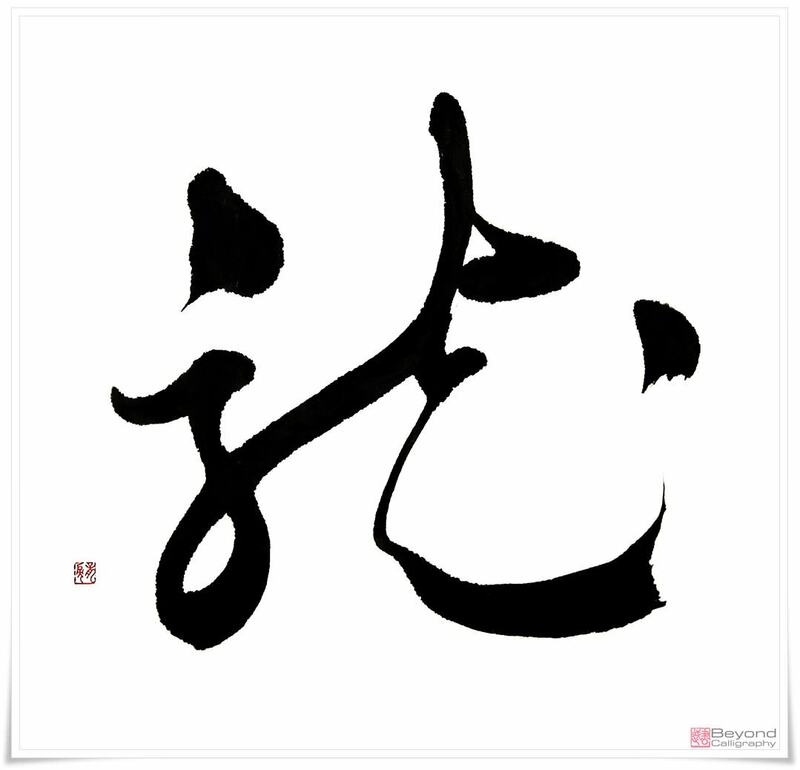 For calligraphers, this year is very special. 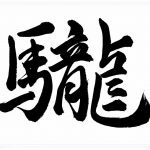 The Water Dragon’s spirit lives in the ink. 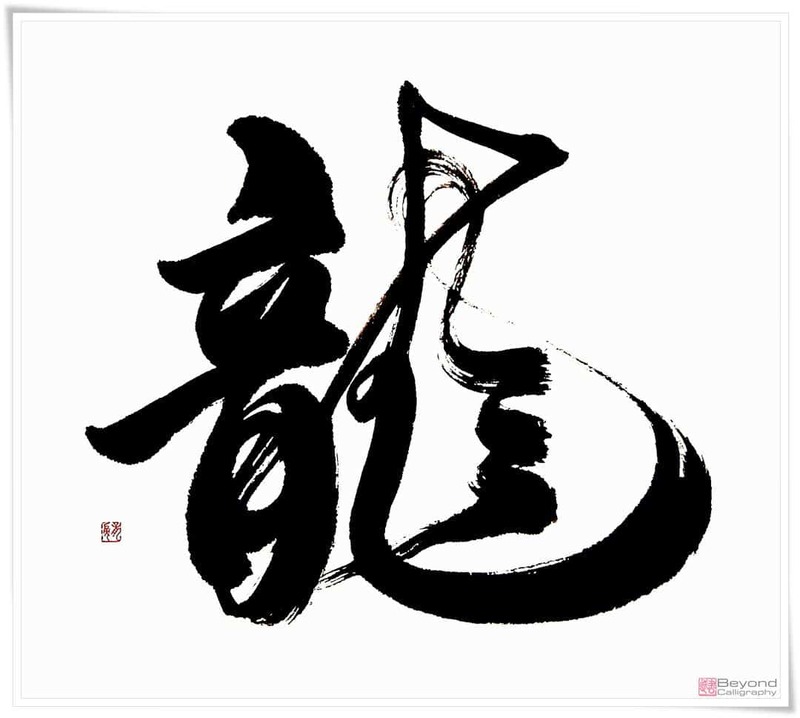 Its wisdom is its deep colour, its spirit is the flowing energy (行気, pinyin: xín qì, lit. 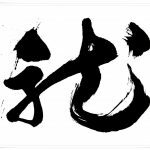 “moving spirit”), its power and momentum is the kasure (掠れ,かすれ, i.e. 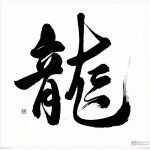 “streaks of white paper piercing through the ink strokes”), and its immortality is the fact that calligraphy, be it on paper or in the hearts of people, lives on, remaining as mythical as the dragons, revealing its most cherished secrets only to those who live by it. Some people do not believe in the existence of dragons. I have heard that dragons mourn the existence of such people. On the day of the 31st of December, I was writing calligraphy of the character for dragon (龍, pinyin: lóng) in five major calligraphy scripts. 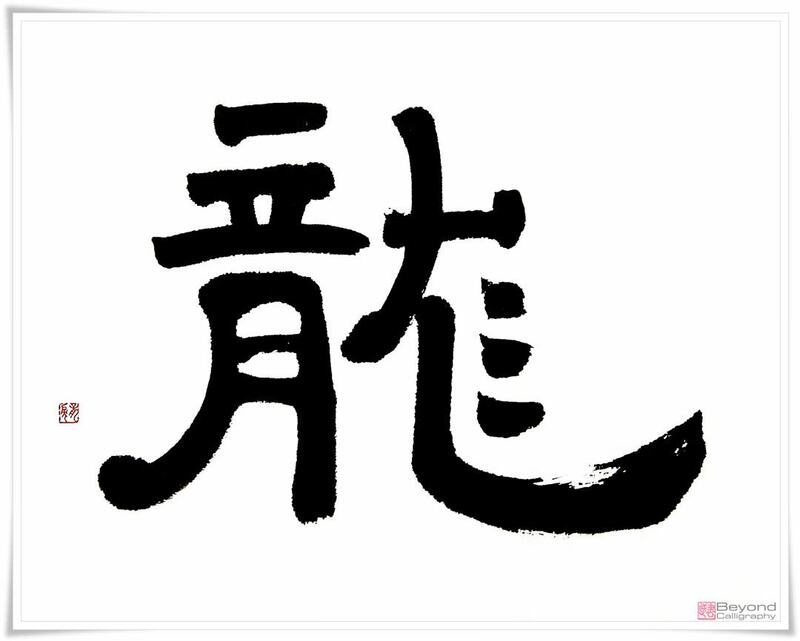 I treated oracle bone script (甲骨文, こうこつぶん, kōkotsubun) separately, although, in a broad sense, it is a part of the Seal Script family. 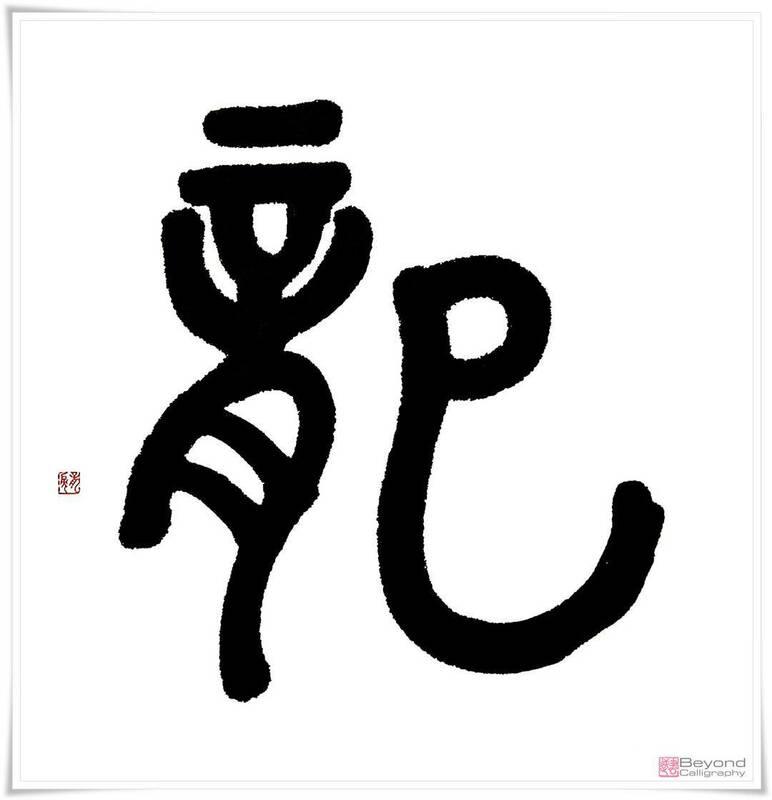 Each of the scripts has its separate video (Movie 1 combines both oracle bone script and small seal script examples). I hope that you will enjoy watching them as much as I enjoyed writing the character. Can you explain a bit Fig. 19? 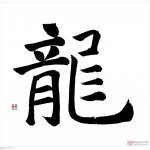 Does the prefixation of 馬 mean something? 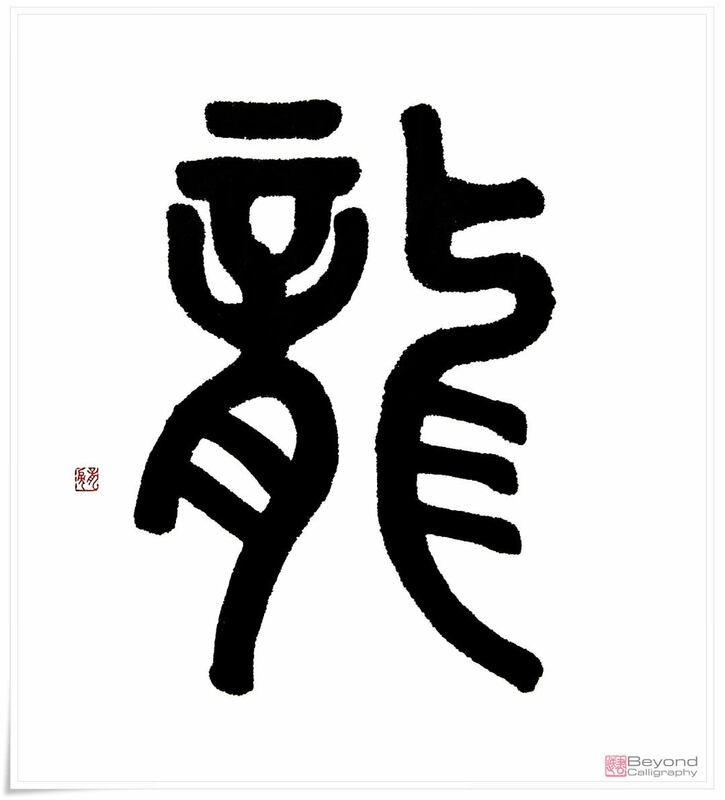 This ventures beyond my understanding of hanzi. Hi Kyle. 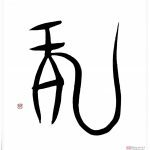 The ancient form of the character 龍 is a pictograph of a dragon. Chinese dragons are often presented as creatures merging features of other animals. Since dragons are physically not existent the character is based on the vision of a dragon and the way it was depicted. 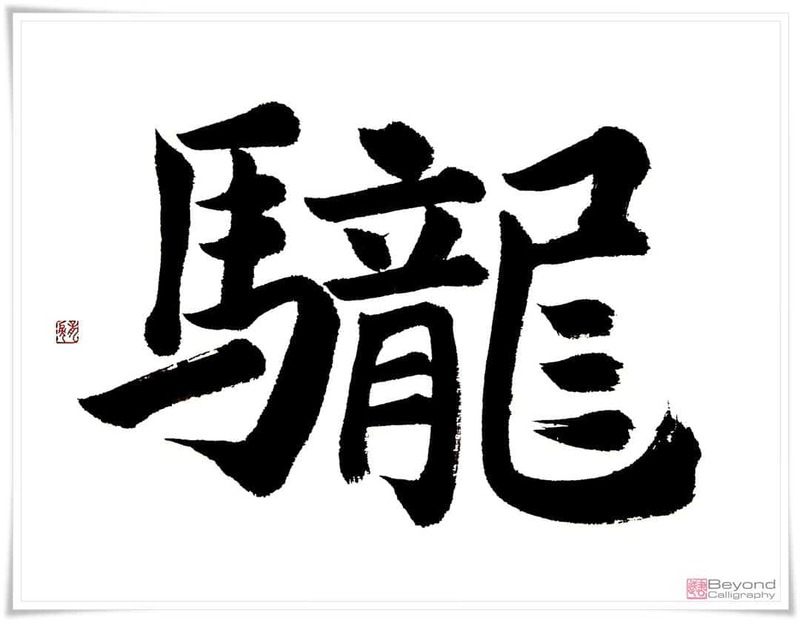 There are dozens of characters for 龍. The figure 19, i.e. 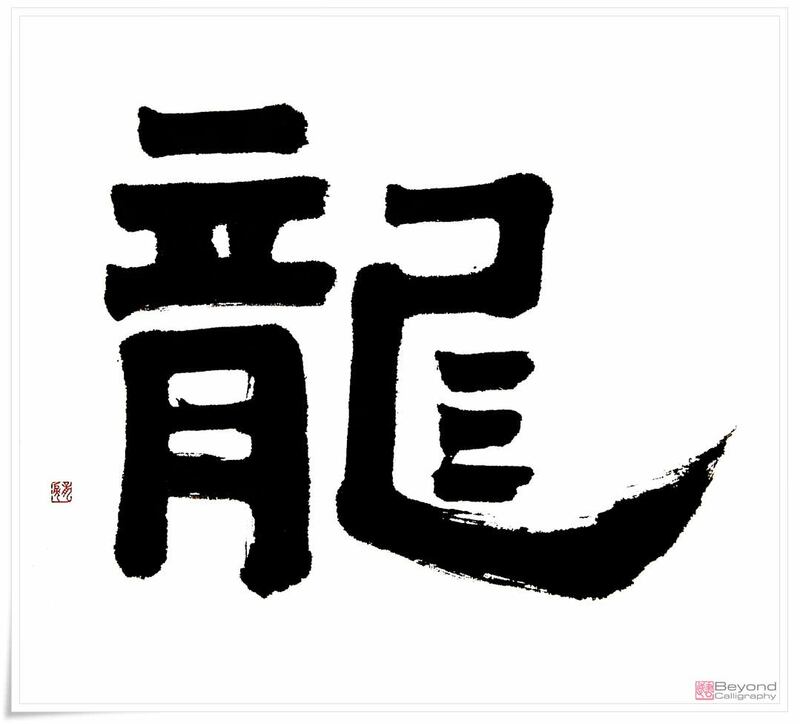 䮾 most likely represents a Dragon Horse from Chinese mythology. 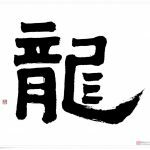 It is known as 龍馬 (pinyin: lóngmǎ), a winged horse with dragon scales. 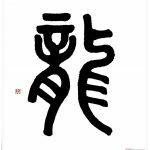 Longma is strongly related to The Three Sovereigns and Five Emperors (三皇五帝; pinyin: Sānhuáng wǔd) from ca. 2500 BC to 2100 BC. Beautiful article and inspiring as usual. This WILL be a great year for calligraphers! Thank you, Steve, indeed it will be! Great article. When will your book be published and where can I get it? Glad you enjoyed it! Not sure, It is basically complete, though I have to rewrite a few things. Let us hope for the second half of 2012. Will your book be available as an e-book? Or will the videos be added as a DVD? You just HAVE to include the videos….. it is fascinating to see you writing … so confident, bold and still so light handed. Thank you so much, Antje. The e-book form – definitely yes. In regards to the videos – I have not given the matter any thought, actually, but this is a pretty good idea. I hope I will have the time to accomplish everything… I am receiving a lot of help and support from many people, without which the Beyond Calligraphy project would be difficult to impossible to put in motion.